I am from a Norfolk family from Heacham. 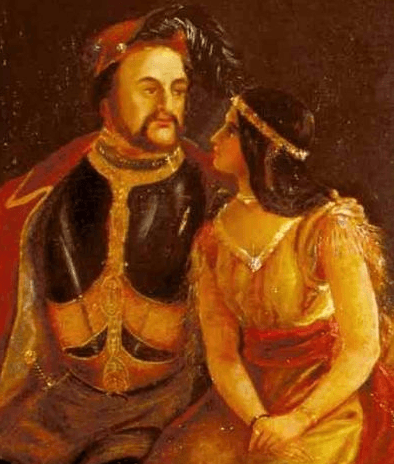 One of my ancestors was John Rolfe, who married the Native American princess, Pocahontas. To the eternal shame of some family members, he was an early cultivator and importer of tobacco. I was born in 1946, the middle of three children with an older brother and a younger sister. My father was Irish Catholic, and he left when I was five and was never seen again, and he did not support his family in any way. In those days if you married a Catholic you had to promise to bring up any children as Catholics. My mother tried for a long time to abide by her promise to bring the children up in that faith but eventually gave up. I was at various boarding schools from the age of six, including a Catholic “crammer”, St Joseph’s near Shaftesbury. This was to try and improve my Latin so I could pass Common Entrance. I went to Abingdon School in then Berkshire. I got into Cambridge but I had hardly started my studies in Mathematics when I decided, aged 19 (wrongly, in retrospect), instead, to marry the first girlfriend I’d had since leaving boarding school and to get a job. We eloped to Scotland to Gretna Green, which we rejected because it was too full of tourists, and went on to Glasgow to wait for the residency requirement. We didn’t know anybody, and had to drag two students off the street to be our witnesses! We split up after four years leaving me to bring up our two children, a boy and a girl. I didn’t make so fine a job of this, often putting my career and new relationships first. My career had taken off when I joined ICL, a UK computer manufacturer, in 1965 as a trainee computer programmer. I subsequently spent my entire working life in the computer industry. In 1967 I moved up to Manchester from Chelsea to take up a position with a subsidiary of Hawker Siddeley as Chief Programmer. Two years later I moved back to London to work as a senior consultant for Leasco Systems, part of a US large computer leasing company. 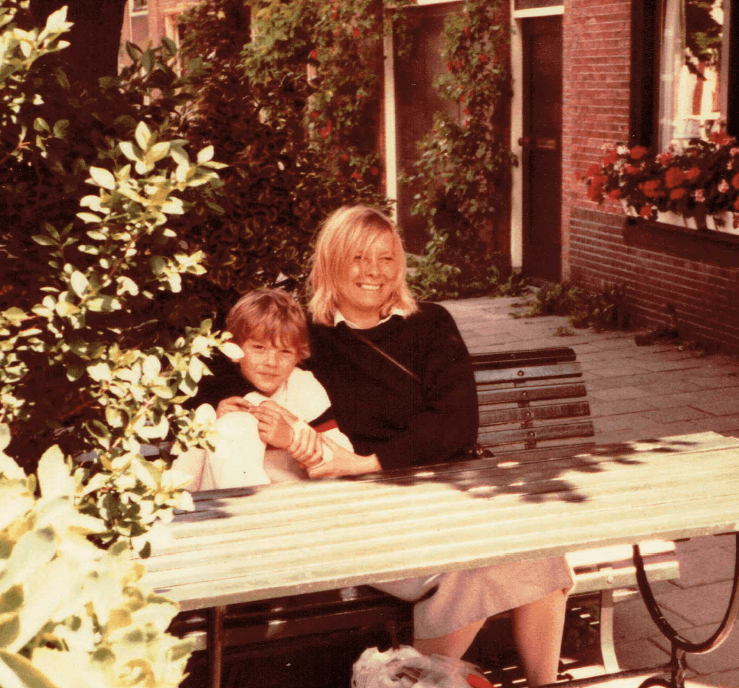 In 1970 Leasco sent me to KLM in Amsterdam to work on a major real-time travel system, and I have specialised in computing for the airline and travel industry ever since. 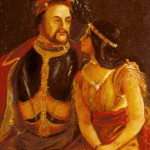 There I met my second wife, Elsje, who was Dutch. 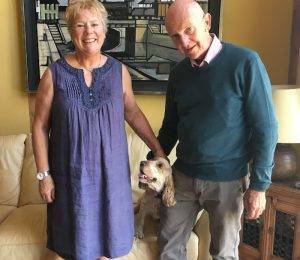 She looked after both my two children from my first marriage and our child Toby. Toby was born in Tehran where I had become the national airline’s first Director of Computing. I was installing systems supplied by KLM and large-scale IBM computers. I enjoyed life in Tehran until the revolution in 1979. While in Tehran I began a long-term relationship with my Australian secretary, and my fourth child, Nicola, was the result. Of course, this caused my second divorce, and Elsje returned to Holland with Toby. We’re still on good terms and I see all children on a regular basis. Unfortunately, my Australian partner died of cancer at 55. I was able to spend some time with her and Nicola before she died. After the Iranian revolution, I joined Unisys, then called Sperry Univac, as their international airline marketing manager and became based in Amsterdam. On one mission I went with my American boss to Beirut to visit the head of MEA, their national airline and AACO, a consortium of Arab Airlines who wanted a pan –Arab airline reservation system. One night, returning through the deserted streets, we were kidnapped by three armed men. They blindfolded us, and we were led down to a cellar after a half hour’s drive. We were interrogated while a heated debate in Arabic went on in the next room. After another half hour when I was truly imagining my time was up, one of the ‘kidnappers’ came in and apologised profusely on behalf of the Palestine Liberation Organisation for any discourtesy we had been shown, but that they had been told we were CIA operatives! They returned the contents of our pockets and asked us the check the money was intact – as if we would have questioned a missing five dollar note. We were blindfolded again for the return journey but the car only went about 50 yards to the hotel where the doorman opened our door, letting the armed militia out first and wishing us all good evening. In 1983 I got a second bite of the cherry to join an airline and was recruited by Gulf Air in Bahrain to become their computer manager. 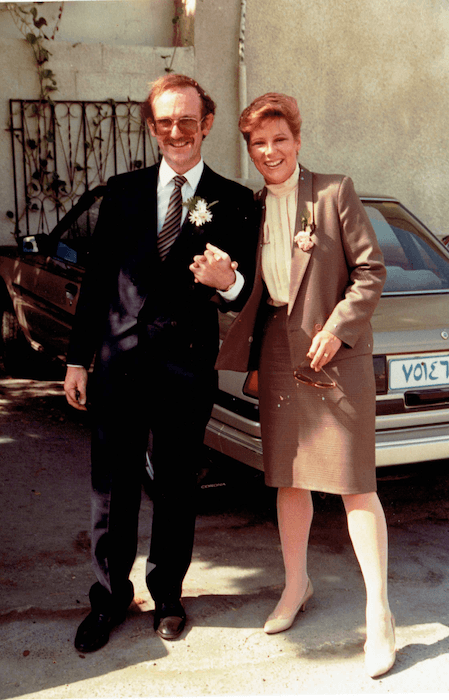 Here I met and married my present wife, Geraldine, who was working with Gulf Air as a stewardess. We were married at the British Embassy with the Ambassador and his wife in attendance. We left Bahrain a few years later in 1989. On return to Europe, I was hired by American Airlines to set up and run a joint venture with SNCF, the French national railway national rail computer system, in Lille, France. This system remains in full operation today and provides fare information, reservations and tickets throughout France. This is something the UK still cannot manage more than 20 years later. Encouraged by a massive contract with American Airlines, I created my own company Allied Management Systems in Dublin providing services to the airline industry. It eventually employed more than 200 people, many straight from Irish universities whom I sent to Dallas for training. I further developed clients such as Amadeus, British Airways, KLM and others. But rather than move permanently to Ireland I sold my company to my then business partner. 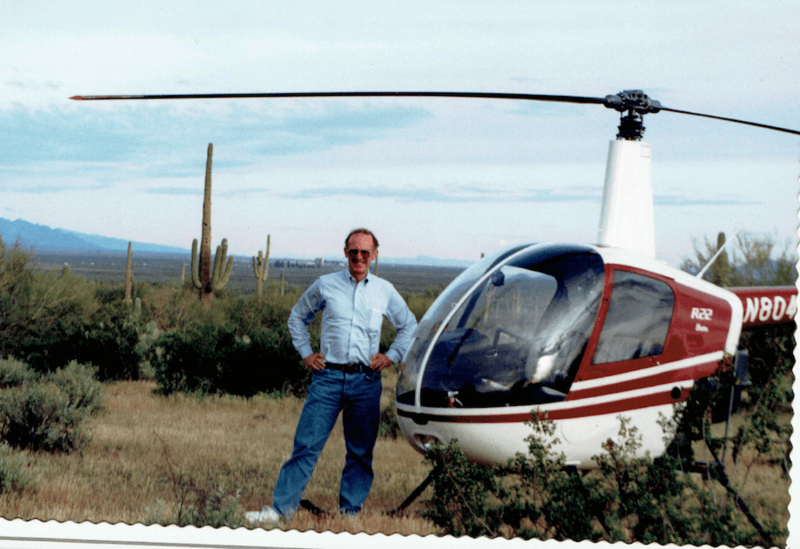 During our time in the United States, where we had an apartment, we both became pilots: I was on helicopters and Geraldine on fixed wing. Geraldine has continued to become a flight instructor for advanced students flying aircraft only on instruments. 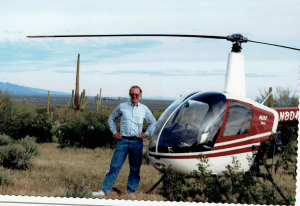 We still have a small plane, but I sold my helicopter when I sold my company despite having used it on more than one occasion to fly to Dublin. Also after selling my company, I joined, for a short period, a Canadian computer company called CGI as Vice-President in charge of outsourcing. I negotiated with major clients Daimler and IBM. Here I worked on a textbook on outsourcing, something which today remains one of the most poorly understood and managed enterprises in the UK, with even the Government repeatedly falling victim to bad contracts. At 65 whilst living in France I was diagnosed with throat cancer and spent a year there undergoing treatment; my French improved a lot! 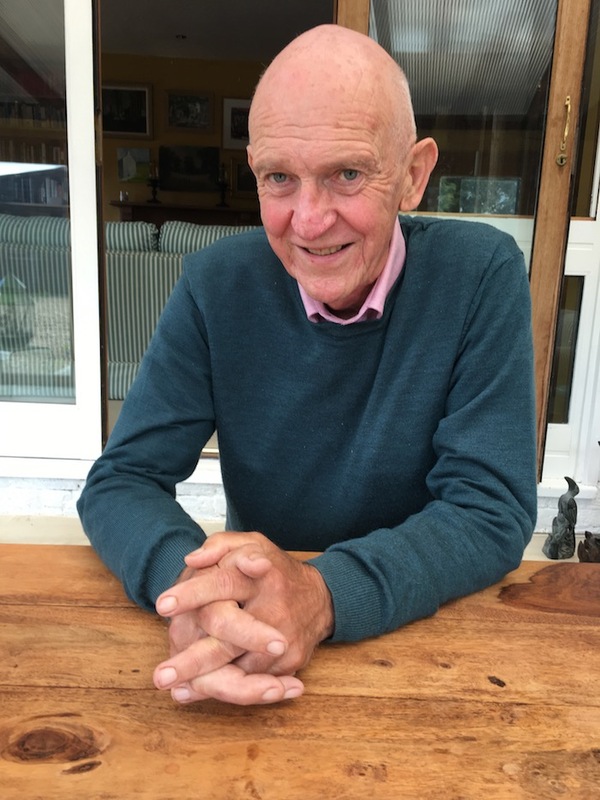 Although now almost clear I was more recently also diagnosed and treated for prostate cancer. I do hope I’m not going for a hat-trick. During the first cancer, I prayed to St Blaise (the patron saint of throats) and afterwards, I felt should honour the silent promise I had made him. My brother, a very adamantine Catholic, encouraged me to go back to the Church. Father Charles was also very supportive and instructive. So, having been baptised Catholic, I finally returned to the Church after a 60–year absence and agnosticism. That was nearly two years ago. It has since reinforced my newfound faith I love the choir, ambience and fellow parishioners of the church in Bungay, and the general universality of the Catholic Church – the same readings all over the world. It is a community. I don’t really think of it as coming back, and I am at ease with it, as I was brought up with it till I was ten or 11. My mother remarried a Catholic who had been at Stonyhurst, so there was some Jesuit influence. I now work with a local council as a volunteer helping refugees to settle in the UK, which is a cause dear to my heart as I had been shown nothing but friendship and fellowship throughout my life in Europe and the Middle East.